“Science. Space. 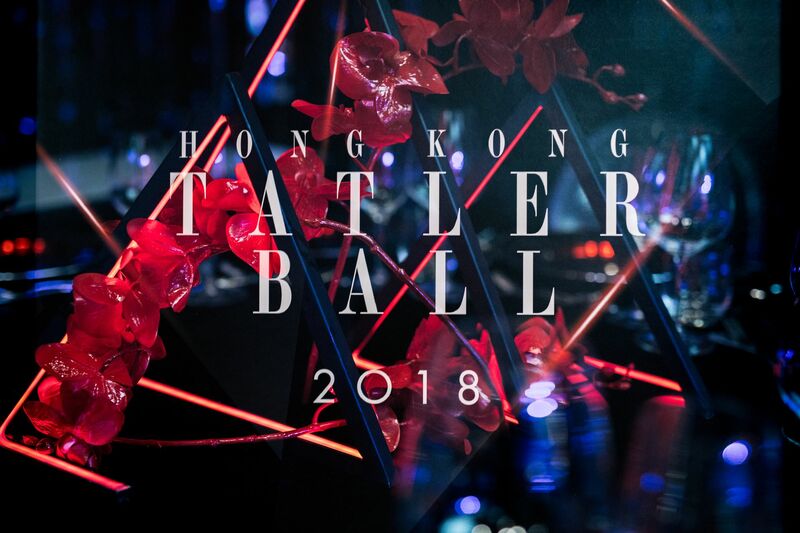 The Future” was the theme of this year’s Hong Kong Tatler Ball, which was held at the Grand Hyatt. Despite the impending arrival of Typhoon Mangkhut, over 380 guests walked the red carpet before making their way through the tunnel where they were transported 100 years into the future, to the year 2118. Inside the cocktail reception, guests sipped on The Macallan and were reunited with familiar faces. Once inside the ballroom, which had been transformed to resemble a spacecraft, with bespoke lighting, seating and large ovular tables that featured illuminated centrepieces, many were in awe of the room and how the event agency, Yagoda, had reinterpreted the space. High points from the evening included the Tatler Awards ceremony, which saw Russian tech entrepreneurs and founders of The Breakthrough Prize Foundation, Yuri and Julia Milner, receive the inaugural Global Unity Award. The founder of Cha-Bei, Joanna Lui Hickox was the recipient of this year’s Most Promising Young Lady Award. Ming Ho-Tang, adorned with a Chopard necklace and wearing an eye-catching Oscar de la Renta gown, was the recipient of the Most Stylish Woman Award. The recipient of the coveted Diamond Award was Peter Woo, who pledged to match Hong Kong Tatler’s donation dollar-for-dollar to Mother’s Choice. After the awards ceremony, guests were treated to a lively musical performance from Tabitha Nauser, who was honoured on Singapore’s Generation T list this year, before a select few made their way to the dance floor once DJ Miss Yellow took to the stage.